1. First Regret - 3 Years Older (DR11): Album starts off with a great classic prog number. It's surprisingly heartfelt from the get-go. Metal purists will be turned off from hearing a ballad as the introduction, though, as I was. However the song, as most songs on this album, work much better in the context of the whole album. The latter track is a bit more upbeat and a better showcase of MArco Minneman's drumming. 2. 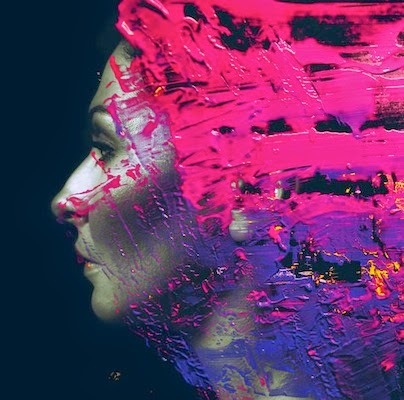 Hand Cannot Erase (DR12): A pop song with a memorable, sweet chorus. Surprisingly accessible for Steven Wilson. 3. Perfect Life (DR11): Continues from the happiness that drove the previous song. The first half features some narration, but that slowly leads to a blissful and calm section where Wilson simply croons "We have got the perfect life" repeatedly. It's simple but gets the job done. 4. Routine (DR11): A very Pink Floyd-ish song (Ninet Tayeb's vocals remind of 'Great Big Gig In The Sky' from Dark Side Of The Moon). The song reminds us that the album is from the viewpoint of a woman. There's a very nice use of silence closer to the midpoint of the song that creates some tension before the song slowly comes back with a solo from Guthrie Govan (Opeth fans will like this). Despite the bright, polished sound, the song has a deep sense of melancholy. One of my favourite songs on the album. 5. Home Invasion - Regret #9 (DR11): the first track starts off with some staccato drumming from Marco Minneman and then a full jam from the rest of the band. This song is a little more rock influenced. 'Regret #9' is a full on progressive rock instrumental, ending with a decent guitar solo. 6. Transience (DR12): Melancholic at first, it turns out to be pretty positive in the end. The album is full of laid back, emotional tunes. 7. Ancestral (DR10): The big one. Clocking in at 13 minutes. The length might be grading to some, but the instruments are all on fire here (particularly the guitars). I love the heavier second half, a lot of great riffs and guitar licks. The average dynamic range on the album is DR11, which is almost unmastered. It also allows for every instrument to be heard with clarity, and not a single band member goes to waste with the production, though one expects nothing less than excellence in this field from Steven Wilson. Some use of synth effects throughout that hearken back to Wilson's days in No-Man. As a whole, the album can be a little too slow-paced for my liking, but that seems to be a trivial problem. This is one of the best progressive rock records I have heard, hands down.